Do you really need hunting footwear for a more efficient experience? According to most experts, you do. Hunting footwear is designed to ensure a comfortable walk throughout harsh environments, but also to keep your feet warm and dry. It's built with traction and flexibility in mind. 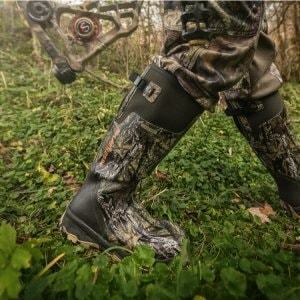 In this article, we will be providing you with the Lacrosse hunting boots reviews. 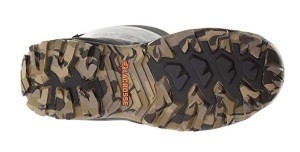 The LaCrosse Men's Alphaburly Pro Hunting Boot is currently a top rated product and for some good reasons. Why is this and what should you know about it? LaCrosse's hunting boots are sturdy and solid. They're different from the average boots due to the thicker rubber. While the rubber is excellent at keeping feet dry, the tall profile also adds to your safety. This model is available in four different colors, with the green camouflage one being the primary choice among shoppers. Whether you're looking for durability, comfort, efficiency or performance, these boots are less likely to disappoint you. It does pay off doing your homework and researching their features before making a final decision though. So, what are the main features? What makes these boots so special? 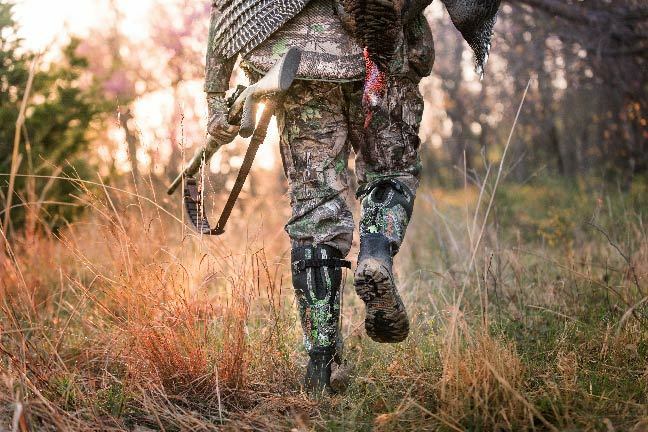 Support is one of the first things you want from a pair of hunting boots. When looking for the best rubber boots, you want to make sure they'll take a good beating without letting you down. Proper backup is a must and LaCrosse knows that. For this reason, these boots are made from solid rubber. The construction is based on multiple layers of rubber. 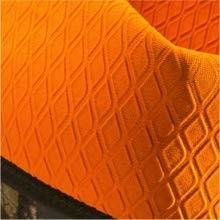 The reinforcement tackles the heels and toes – the most exposed parts in terms of wear or potential dangers. The best part about this style is that rubber gains extra strength while maintaining its flexibility. All in all, the reinforced areas are less likely to break or crack, even when you go down on sloppy and harsh terrains. The support is also a matter of actual safety. These boots come with a double vamp. Its primary mission is to add some extra protection for the toes. Basically, you won't feel anything if something heavy falls on your feet. LaCrosse's best mountain hunting boots are certainly built to last. However, such features inevitably add to the size of the boot, as well as the weight. Despite most expectations, such protective coverings can successfully keep the weight under control. Treading is still an enjoyable action because they barely weigh 5.5 pounds per pair. They are, indeed, slightly heavier than other models in this segment. But then, they're taller and the overall protection is totally worth it. Plus, the difference is not major, so you'll feel comfortable even after a long hunting session. When it comes to the actual sizing, LaCrosse makes these boots in any size you can think of. Hunting involves spending lots of time outdoors though, especially when you do it on a camping trip. For this reason, you might need to wear heavy and thick socks. That's why most experts recommend buying half a size bigger. It will prevent unexpected surprises and uncomfortable sessions during the wintertime. Trying to find the best hunting boots for cold weather is not all about performance and efficiency. Sure, you want a good traction and extra flexibility, but it's just as important to feel good. If you don't feel good in your boots, it'll ruin the whole hunting experience. If you have had hunting boots before, you probably know already that most of them are quite challenging to put on, but especially to take off. It's a nightmare, yet no one's forcing you to go through this issue. Certain models like the Alphaburly Pro can make all these problems history. The gussets are quite flexible and can make room for your feet, regardless of how unusual your calves might be. They're made from neoprene, which is slightly adjustable, In other words, your feet will slowly slide in or out when needed. The truth is that four out of 5 hunting boots are not actually insulated. Although they might be waterproof or solid enough to keep feet in good condition, lacking insulation will cause serious discomfort during the cold season. You're likely to spend hours walking around the woods in shaded areas and moisture. Insulation is a must to keep your feet warm. This model features the 1600G Thinsulate lining technology. You can wear them in the coldest areas of the world and still benefit from a decent feeling of warmth. The lining is specifically designed to trap the heat inside. Apart from the feet, most other parts of the body can be heated with repetitive movements. For this reason, the insulation makes these boots suitable for any part, climate or part of the year. Flexibility is not necessarily given by how the boots feel when you go hunting. Instead, it also has something to do with the weather. Unless you opt for waterproof footwear, chances are you won't be able to spend too much time hunting if it rains or snows. Water will inevitably go through the boots and cause a serious discomfort, as well as potential diseases. 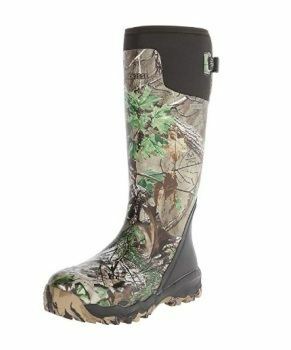 LaCrosse's best insulated rubber hunting boots are rated to be waterproof. They feature a premium neoprene lining that makes them suitable for watery conditions too. Keeping the boots watertight will boost your comfort, but also allow you using them in rainy condition or muddy areas. 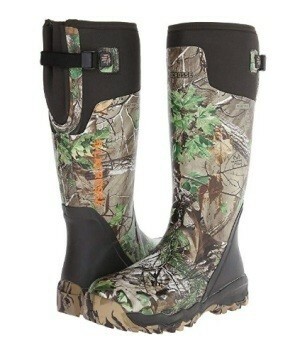 It's hard to believe that hunting boots can be water resistant and allow air circulation at the same time. You usually have to choose one or another. According to multiple ​reviews, LaCrosse has successfully managed to do it. The Alphaburly Pro model features an embossed wick liner. Its designed to boost the air circulation inside the boots. At the same time, it prevents moisture and sweat from taking over. Apart from keeping your feet comfortable, the wick liner also prevents unwanted odors – one of the most common issues in hunting boots. Not only will these odors disclose your location when you hunt, but they'll also ruin your evening when you get back home and take the boots off. Most reviews claim that the Alphaburly Pro model can successfully prevent such situations. 1. Do sizes match street shoes? Normally, yes. However, when you go hunting, you're expected to go through harsh environments, moisture and mud. Chances are you'll need thicker and heavier socks. For this reason, most hunters tend to buy their hunting boots half a size larger. 2. How big are these boots? In terms of sizing, it depends on the size you order. The length will be directly proportional with the width – just like in street shoes. As for height, no matter which size you order, your boots will measure 18 inches. They weigh 5.5 pounds per set, so they're quite comfortable and lighter than regular winter boots. 3. How should I look after these boots? Maintenance is fairly simple for rubber boots. You can wash them as often as you want with water and a mild detergent or soap. Avoid putting them in the washing machine as you risk ruining the lining, yet the manufacturer doesn't mention anything about it. They're easy to wash both on the inside and the outside. Let them dry naturally. In conclusion, most Lacrosse hunting boots reviews are positive about the Alphaburly Pro model and encouraging enough for every hunting enthusiast. The boots are rated 4.4 out of 5 stars – quite a performance in this segment, yet they're worth it. You have water protection, insulation, sturdiness and durability.